will be able to avail cashback worth Rs. 200 in the form of coupons and in order to avail this offers, you will need to head to the My Airtel app as we were not able to spot the offer on Airtel’s official website. For the unknown, the Airtel Rs. 199 prepaid recharge plan comes with 1.5GB data per day, unlimited local, STD and roaming voice calls without any FUP limit, 100 SMS per day and a validity of 28 days. Meanwhile, Bharti Airtel has announced another offer for prepaid users under which the telco is offering free one-year Norton Mobile Security subscription with all Airtel prepaid plans worth Rs. 199 and more. 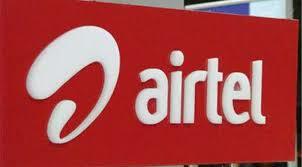 According to a report by TelecomTalk, subscribers of Airtel prepaid plans worth Rs. 199 and more have started receiving an SMS mentioning this offer. In order to redeem the free Norton Mobile Security subscription, Airtel subscribers will need to visit the My Airtel app or Airtel’s official website.